Camilla is a single college professor. She used to be part of a family, but her abusive ex Allison made it impossible for Camilla to stay. She dearly misses their son Nico. Allison doesn't allow Camilla to see him any longer. To deal with the emptiness inside, Camilla decides to surprise Nico with a treehouse. While Allison has taken him on a vacation, Camilla starts the work. Will she be able to finish the job on time? Camilla expects to build the treehouse by herself, but solitude isn't on the agenda. The constant stream of visitors makes her job a lot more complex. Some of them help, but others aren't there to lend a hand. Camilla's best friend Taylor is the first one to arrive. Taylor has a new woman in her life. They usually don't stay long and in this case that might be good for Camilla. She immediately likes Audrey and if Taylor doesn't love her, there's a chance they can get to know each other better. An unwelcome visitor is the head of Camilla's department. He brings her news that shocks her to her core. Suddenly Camilla's job is on the line. When family she hasn't seen in a while visits her as well, Camilla's posse is complete. Will they be able to finish the tree house and what will happen once they're done? The Treehouse is a great fascinating story. Camilla is a kindhearted woman. She's been through a lot and missing her beloved son breaks her heart. Allison has sole custody and Camilla is at her mercy, which is the exact situation she tried to escape. Randi Triant describes Allison's character in a fantastic honest manner. Camilla still feels raw and sad because of what happened to her and dealing with her eccentric and erratic best friend Taylor doesn't always cheer her up. Taylor does her best, but she isn't the most sensitive person. Their friendship isn't entirely equal and Taylor has a natural confidence Camilla doesn't possess that gives her a certain power over people. Taylor often means well, but frequently messes up and spending time with her can be a lot of fun, but it also sometimes comes with a price. Randi Triant makes her main characters come to life in a marvelous detailed way. I was intrigued by every important person in Camilla's life. They all have their own role and they each make her heal a little bit, which makes the story incredibly interesting. Randi Triant has a terrific way with words. I loved how every sentence seems to be well thought through and it's clear that her story has been written with plenty of care and attention. Everything she describes has some kind of effect. Even though Camilla is going through a difficult phase the story isn't dark and daunting, there's enough lightness not to make it too heavy. Camilla's idea to build a treehouse might make her seem crazy in the eyes of some people, but it's a cathartic project that unites and makes her feel alive again. I loved that symbolic purpose. Because of the many different emotions, amazing main characters and plenty of unexpected events and drama The Treehouse is a beautiful captivating story. 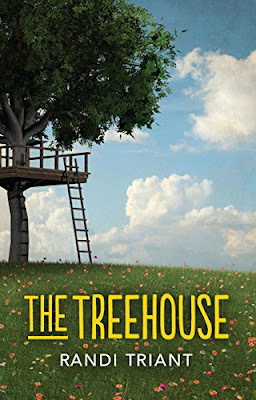 If you love captivating literary stories about love, friendship and family The Treehouse would be an excellent choice. 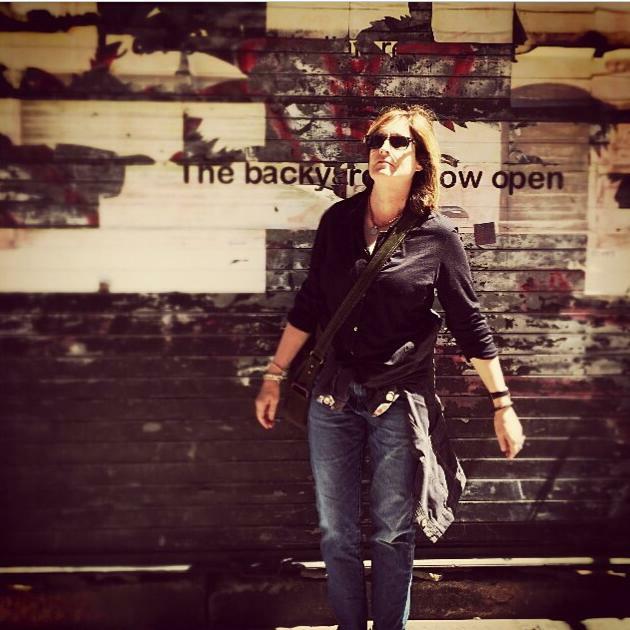 After ten years as a filmmaker, Randi Triant received her MFA in writing and literature from Bennington College. Her first novel, The Treehouse, is available in print, ebook, and audiobook from Sapphire Books Publishing and distributed by Ingram to independent bookstores, as well as by Amazon, Barnes and Noble and others. Randi’s nonfiction and fiction have appeared in literary journals and magazines. The Pecking Order is in an anthology published by Black Lawrence Press, celebrating the AIDS literary magazine, Art & Understanding: Literature from the First Twenty Years of A&E. The Memorial is in the anthology Fingernails Across the Chalkboard: Poetry and Prose on HIV/AIDS From the Black Diaspora. One very lucky reader of With Love for Books will receive a paperback copy of The Treehouse by Randi Triant. It sounds like a very emotional read.My heart goes out to Camilla, her story sounds so sad. The Treehouse sounds like a deeply moving story about love, loss, motherhood and how one woman rebuilds a new life from what remains of the old one. This sounds like a great read. Camilla has had a tough time and I'm interested to discover why Allison has sole custody. The characters all sound very interesting. I love the idea of building a treehouse. It sounds a really captivating book! I love it when a book pulls me out of my comfort zone and makes me question what I would do. I love the beautiful book cover. This sounds like a very character-driven novel, just what I like. Sounds a great storyline - hope I win! Sounds a great novel with some interesting characters. Think we might need a box of tissues as it sounds heart-wrenching in places. Good strong characters & contemporary too - excellent!